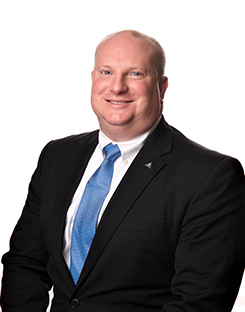 SmartBank has promoted Mike Honeycutt, to Regional President, overseeing the Knox, Sevier, Hamblen and Blount county markets. KNOXVILLE – SmartBank has announced the promotion of Mike Honeycutt, who has been named Regional President. Honeycutt will oversee the Knox, Sevier, Hamblen and Blount county markets. Honeycutt has been with SmartBank since 2014, when he was hired as a corporate commercial lending officer, before being promoted to Knoxville Area Market Executive. Currently, he also serves as the bank’s Director of Treasury Management and will continue in that role. He began his banking career in 1996 and served as Senior Vice President and Market President at BB&T prior to joining SmartBank. Honeycutt earned a Bachelor of Science in Business Administration with a concentration in Finance from the University of Tennessee. He is active in the community, currently serving in various roles for the United Way of Blount County. Honeycutt is the current chair-elect of the board of directors and chairman of the Community Impact Committee. Previously, he served as treasurer and chairman of the Allocations Committee.